Enjoy an aloha experience & view the island from a different angle. Known as the Blue Marlin Capital of the world! World Class at an Affordable Rate! 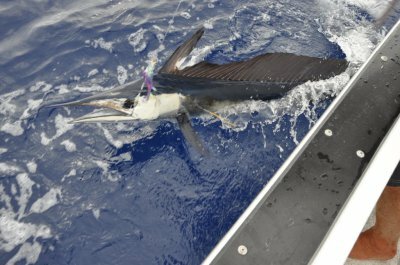 We do not have to kill a Marlin to get a mount, we just take measurements & let it go! Novice to experienced anglers weclome. 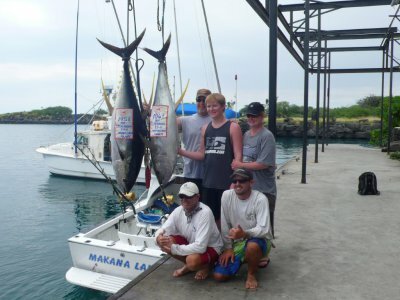 Again we encourage tag & release of marlin! 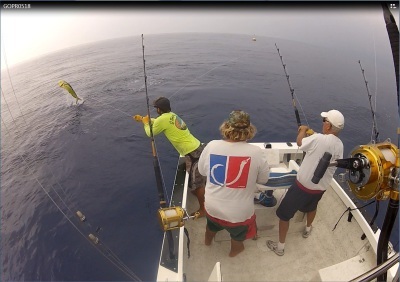 The usual method is trolling with artificial lures, so the boat is always moving. Live baiting when available, we usually have fresh & fresh frozen available.